Here is a giveaway that I thought you would love! 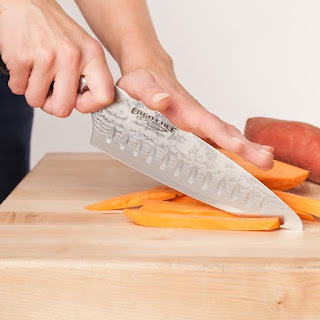 2 - Winners Holiday Contest and Sweeps and a great group of fellow blogs are happy to work with Ergo Chef to bring you the Ergo Chef Shinzui Knife Giveaway. 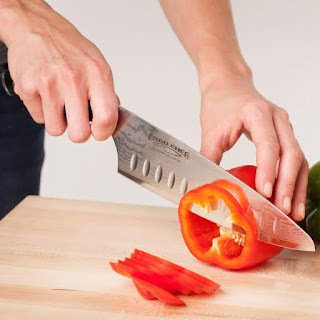 Two lucky readers who reside in the Continental United States and are 18+ years of age will win a new Shinzui 8 inch 67 Layer Damascus Chef Knife. Features: Damascus Blade Made in Japan: VG10 Japanese Super Steel Core with Our Custom Damascus Layer Patterns - Each knife pattern will be slightly different. VG10 is a high carbon Japanese steel known for its samurai sharp edges and tough long lasting sharpness. 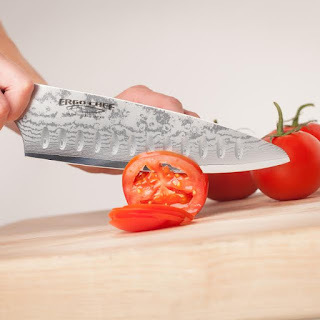 Edge: Double beveled 15 Degree's per side for incredible strength and smoothest cuts through toughest foods. Heat Treat: 60 HRC for superior long lasting sharpness and durability. Tempered to perfection. Handle: Black G10 fiberglass resin composite with red G10 stripes down both sides of the full tang. A Mosaic center rivet and 2 stainless steel rivets complete the look and are polished for beauty. The G10 handle is one of the world's strongest materials for lifetime of worry free use. 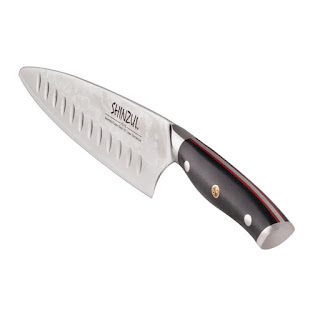 Blade Length: 8" Blade Height: 2.25" Blade Thickness: .090" Handle Length: 4.9" Handle Width: .880" Handle Belly Height: 1.120" Assembled in China to Ergo Chef's exact specifications for your cutting pleasure and the best value priced performance for the high quality in our new SHINZUI SERIES. This giveaway is in no way associated, endorsed or affiliated with Facebook, Twitter, Pinterest or any other social media networking site.This giveaway will be valid in the Continental United States Only. Entrants must be 18+ years of age to enter. This giveaway ends at 12:00 AM (EST) 11/05/2017.